It is the key to our existence, the essence of life, the source of all power. It is the Allspark cube. 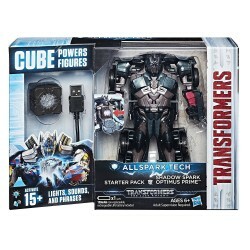 Insert the cube into this Shadow Spark Optimus Prime figure to unleash motion-activated lights, sounds, and phrases. 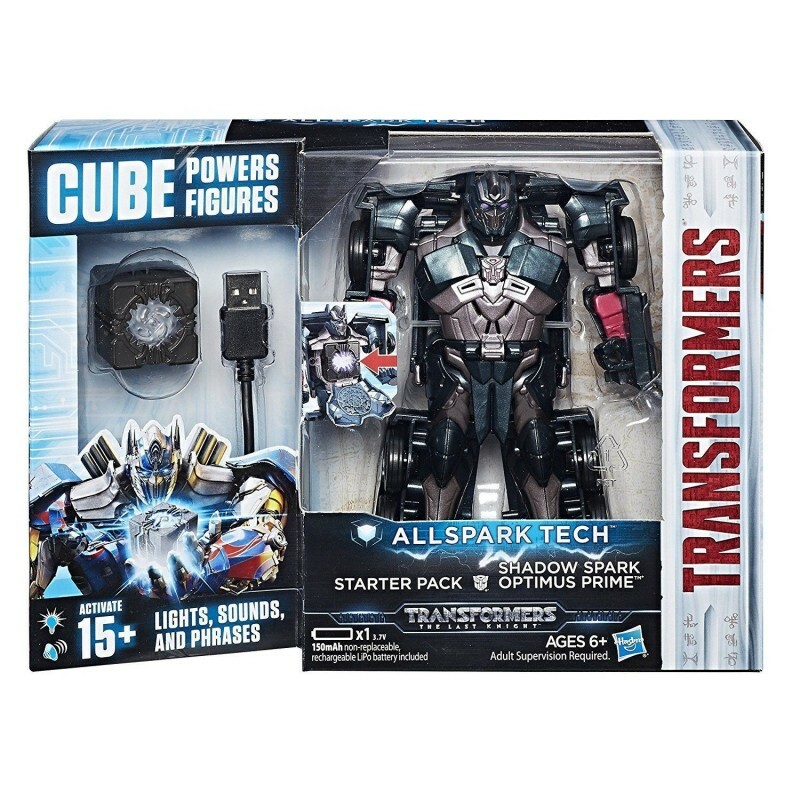 This starter pack includes everything needed to launch into Allspark Tech play, including a Shadow Spark Optimus Prime figure, Allspark Tech cube, and USB charging cord. 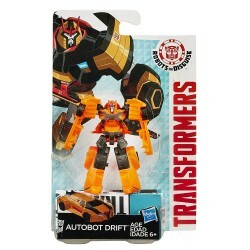 One cube powers all Allspark Tech figures. Control the action with Allspark Tech. 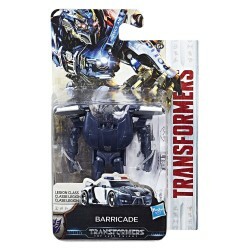 In Transformers: The Last Knight, new evil rises for the fate of Earth. 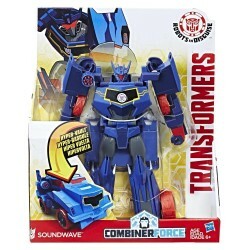 Thrust into deep space, Optimus Prime hurtles towards an enemy more fearsome than he has faced before. The once incorruptible hero now contends with a force that could push him to his limits. 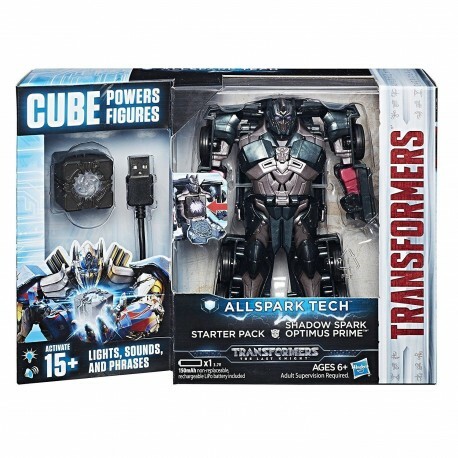 Includes Transformers: The Last Knight Allspark Tech Shadow Spark Optimus Prime figure, Allspark Tech cube, USB charging cord, and instructions. • Powered by 1 3.7V 50mAh non-replaceable, non-rechargeable LiPo battery (included). See instructions.